In theaters this weekend from Alliance Films, just in time for Halloween, we get the newest horror title from director Scott Derrickson, the director of the Exorcism of Emily Rose. With the mainly lackluster theatrical year we have had to date for the horror genre, Cabin in the Woods withstanding, the real question is can Sinister deliver where others this year have failed? And can one of us, online film Critic C. Robert Cargill, aka Ain’t it Cool News’ Massawrym, really write a film that lives up to the hype? Ten years ago, true crime writer Ellison Oswald (Hawke) made his reputation with a best‐selling novel based on a notorious murder. Now, desperate to replicate the critical and financial success of that book, he moves his loyal wife (Rylance), none too happy son (D’Addario) and daughter (Foley) into a home where a suburban family was brutally executed and a child disappeared. Not telling his family of the home’s past, hoping to find inspiration in the crime scene, Ellison discovers a mysterious box containing Super 8 footage of a series of murders, including the ones from the house. Rather than going to the local authorities and reporting the find, he keeps the movies to himself and takes on an unassuming Sherriff’s Deputy (Ransone) to unwittingly do his research, hoping to publish another acclaimed book based on these series of crimes. As Ellison starts to piece together the truth behind the horrific images on the films, unseen intruders and inexplicable goings‐on disrupt his once peaceful household. 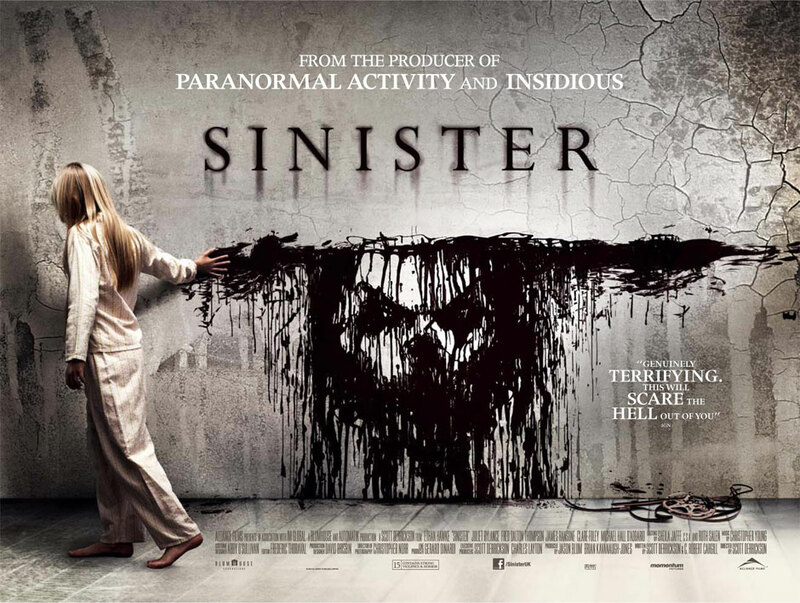 Sinister works because it focuses less on simply staging a line of jump scare tactics, and more on building tension while never hitting the release valve. The script is smart and tight, although it’s not entirely original in that it uses and falls prey to some of the most obvious of horror conventions, but it also uses them more effectively than most. Ethan Hawke does some very solid work here, the level of paranoia involved with his performance adds to the building sense of dread surrounding the family in the film. The rest of the cast does admirable work as well, the child actors in particular show they can hold their own amidst the veteran actors. Ransone’s deputy may have been the hapless goofball in any other film, but he and the script give the character some surprising depth and even a more level head than the deteriorating Oswald can muster. The score is brilliant and unnerving, building layer upon layer as the film progresses and tensing up the audience as it goes along. Director Derrickson proves that he may be best suited for genre pieces as this is a giant step forward from the abysmal Day the Earth Stood Still remake. Sinister is far from perfect mind you. Can Oswald please stop bumbling around in the dark and just turn on a light? And seriously, does every character here sleep like they are dead? You figure with the crashing, falling and multitude of other actions going on in the house somebody else in the family would wake up. But taking the good with the bad the film is still miles above most of the genre fare we have seen in multiplexes this year. The villain of the piece could have been an awful campy nightmare, but instead it works brilliantly. My only qualm is with the last shot of the film, when the film has already been wrapped up nicely, we get what appears to be an unnecessary studio addition. Also we get a way too brief appearance from an un-billed star that I will not mention other than to say I wish it was much longer. 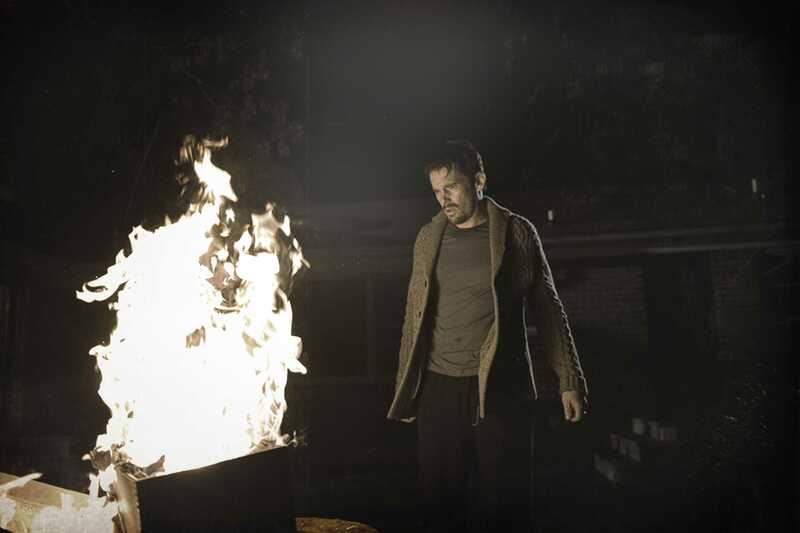 Sinister is successful because of its ability to develop and sustain atmosphere and tension for its almost tw hour running time, a feat in its own with the amount of 85/95 minute disposable genre films we are subject to most of the time. Sinister is a very solid recommend, go out and see it this weekend.